We provide a full range of services for apartment communities, including: carpet cleaning, carpet restoration, stain removal, spot dying, deodorizing, and 24 hour emergency water extraction. Don't Replace That Carpet... Restore It ! To introduce our company and services to new apartment communities,	we will clean on apartment at no charge. 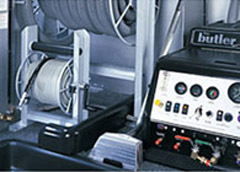 Professional Carpet Care uses the Butler van powered cleaning system for maximum cleaning power and faster drying. 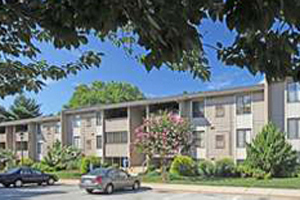 Professional Carpet Care has been serving apartment communities for over 24 years and currently provides services to over 9,000 apartment units in Durham and Chapel Hill. We have the experience, staff, and employees to handle the special needs of your apartment communities. Deep Steam Cleaning - for maximum "top-to-bottom" carpet cleaning, not just surface cleaning, which expands carpet life and appearance. Restorative Cleaning - with over 24 years experience cleaning heavily soiled and stained carpets, we can restore many of the carpet you would normally replace. See photos below. 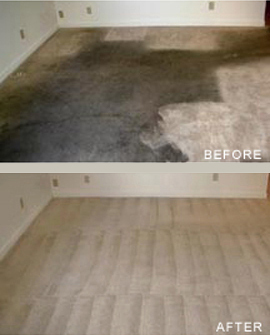 Stain Removal - Red Stains, Grease, Oil, Gum, Rust, Burns, Wax, Paint, Spot Dying Bleach Stains, Pet Stains, Etc. Emergency Water Extraction - 24 hour emergency service. We provide services for both water and sewage, including: extraction, sanitizing, mold & mildew retardation, moving and blocking furniture, pulling carpet and pad, turbo fans and dehumidifiers for carpet drying. Living room carpet heavily soiled with grease, oil, beverage spills, red stains, paint, and burns. Dining room carpet heavily soiled with cooking grease and oil from the kitchen.